Bangalore is attracting a vast number of global corporations with its world class facilities and infrastructure. The city is the IT capital of India and has made immense progress in the BPO sector. It is no surprise that almost a 100 multi national companies from all over the world have set up facilities in Bangalore. In March 2004, a group of American management students took a tour of Bangalore and were extremely impressed with a call center facility they visited. Far from the image they had of "sweatshops" and crammed spaces, the vast work space with attractive design elements made them comment that these offices were as good if not better than some of the work places in the US. Outsource2india is a pioneer in outsourcing and has been providing high-quality services to a large number of global customers, since 2002. Outsource2india is located in Bangalore, India's IT Hub. Outsourcing to O2I, can help you leverage the advantages that Bangalore offers. 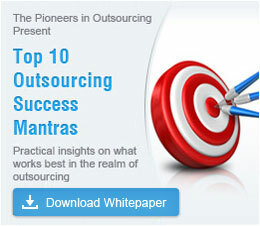 Outsource to O2I and give your organization a cutting-edge. It is no wonder then that global corporations like HSBC, Dell, Microsoft, GE, Hewlett Packard, and several Indian multi national firms like Infosys Technologies, Wipro, and Microland have offices in the city. With the number of companies flocking to Bangalore on the rise, there is constant demand for world class facilities and state of the art infrastructure. Colliers International has said India continues to be a preferred destination for setting up back office operations and for outsourcing similar work to BPO players, with the IT/ITeS sector being the main demand driver for commercial space in recent years. Bangalore has good infrastructure, with large floor space and varied telecom facilities. With a huge number of IT/ITES companies, R&D and product development facilities, and call centers mushrooming the demand for commercial space has risen drastically. These companies want the best space, with high ceiling heights, good broadband connectivity and areas of around 40,000 to 50,000 square feet. There are a number of private sector companies who can cater to these demands by providing state of the art facilities. RMZ Corporation, Embassy, Prestige, IBS, Brigade, and Larsen & Toubro are some of the Indian players who have established a reputation for quality control and exceptional project planning skills. For example, HSBC's 180,000 square feet facility was conceptualized, designed, and executed in just 135 days. This HSBC center is not only the largest in India, but is also the best in terms of World Standard Technology. Software Technology Parks of India (STPI), Bangalore is a society under the Ministry of Information Technology, Government of India. Under the STP scheme, which was formulated in 1990, there is a promotion and facilitation of software exports from India. It offers new fiscal incentives, state of the art infrastructure and encourages investment. Various world class IT Parks have been established in Bangalore. The International Technology Park was established in 1997. It was a joint project for the State Government, the TATA Group and the Singapore Consortium. This park has world class infrastructure and is built adhering to international standards. It includes office, production, commercial, residential, and recreational needs at a single location. With a sophisticated design, ITPL is built to suit the requirements of international hi-tech companies in the field of information technology, software development, electronics, telecommunication, research and development, finance and accounting services and other such industries. Electronics City is an industrial park spread over 330 acres which is meant exclusively for the electronics industry. It has more than a hundred industries including Motorola, Infosys, Siemens, ITI, and Wipro. Export Promotion Industrial Park is an area of 288 acres exclusively for export oriented businesses. The park is situated near the International Technology Park and has excellent facilities with water, electricity, and communication. GE has its India Technology Center located at this park and employs hundreds of multi disciplinary technology development activities. Along with these parks there is also the IT Corridor project and independent office buildings that are a true illustration of the state of the art facilities available in the city. The IT Corridor project was initiated by the Department of IT and the Bangalore Development Authority. Conceptualized by Singapore's Jurong Town Corporation Private Ltd, the huge expanse of 8000 hectares will provide state of the art facilities for the development of knowledge based industries. I Flex Solutions recently inaugurated their new development facility which will accommodate 1500 employees and has two wings comprising of the development and corporate blocks. The latter block is designed and executed as a cable stayed structure, the only one of its kind in the whole of South East Asia. The unique design eliminates columns inside the building, which provides greater space inside. The development block will house the product development and support infrastructure. These various examples of the quality of facilities available in Bangalore, from innovative and state of the art designs as well as good infrastructure, are major reasons why Bangalore continues to dominate the outsourcing industry in India. O2I offers high-quality and cost-effective services that can tremendously increase your productivity. Outsource to O2I to experience an increase in your revenue and a reduction in your operating costs. An overview of our LPO services and their benefits.